How can I find audiobooks? (Library Catalog) - Ask Us! I'd like to find some audiobooks to check out. 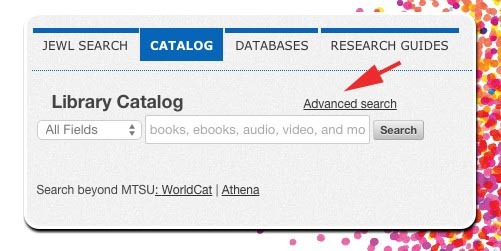 From the Library home page, select the CATALOG tab. Click on Advanced Search. 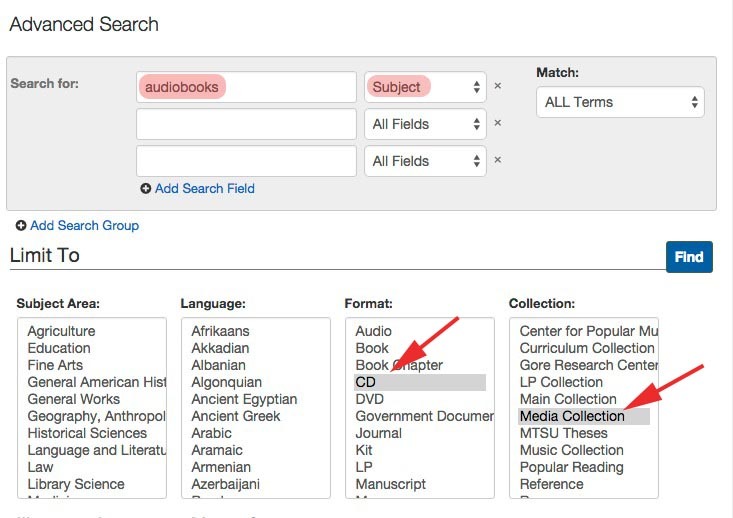 Type audiobooks in the Search For box; choose Subject from All Fields. From Limit to select CD as the Format and Media Collection as the Location. One more thing.... Select Sort and choose Date Descending from the list for the most recent audiobooks.